If I needed to choose somewhere to go for any kind of Eat Pray Love moment, should I need to find myself in the future, Phu Quoc would be it. So relaxing and so beautiful. Admittedly I didn’t really get it at first. 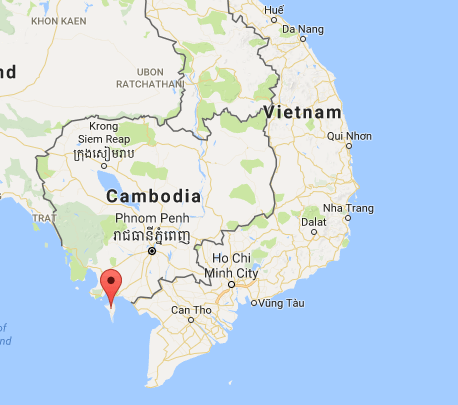 In fact, after day one I was looking up how to get to Cambodia as I didn’t want to stay for the full week I’d planned. 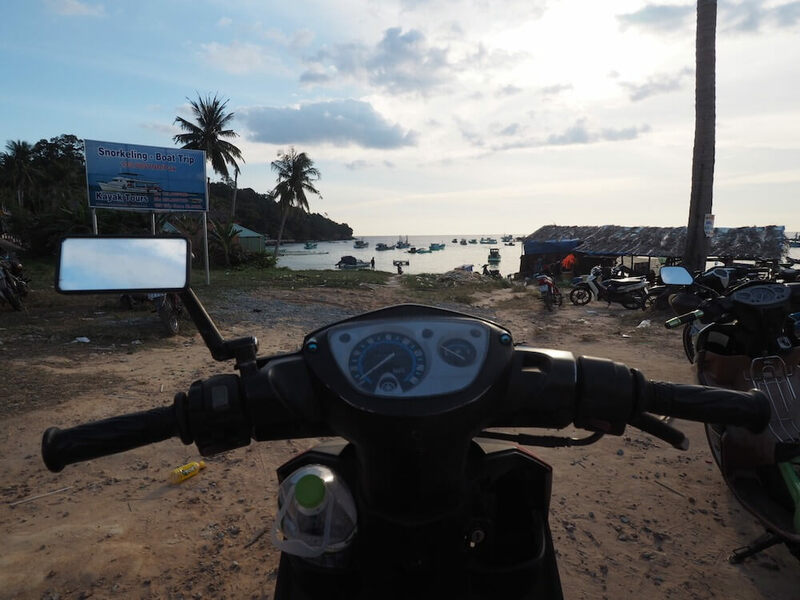 The travel advice I’d read and trusted on Phu Quoc took me to the over tourist bits and it was only when I hired a moped on day three that I realised how awesome the island was. Day five and I was planning when I could come back. 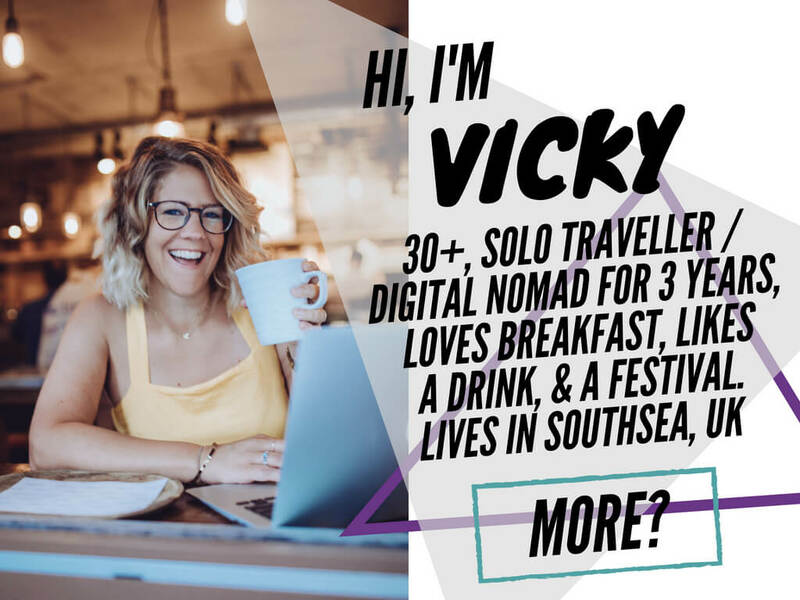 I wanted to put together all the travel advice for Phu Quoc I think you need to know before you go. Mainly because I think that what I’ve read about Phu Quoc online has been useless for anyone planning to travel there. 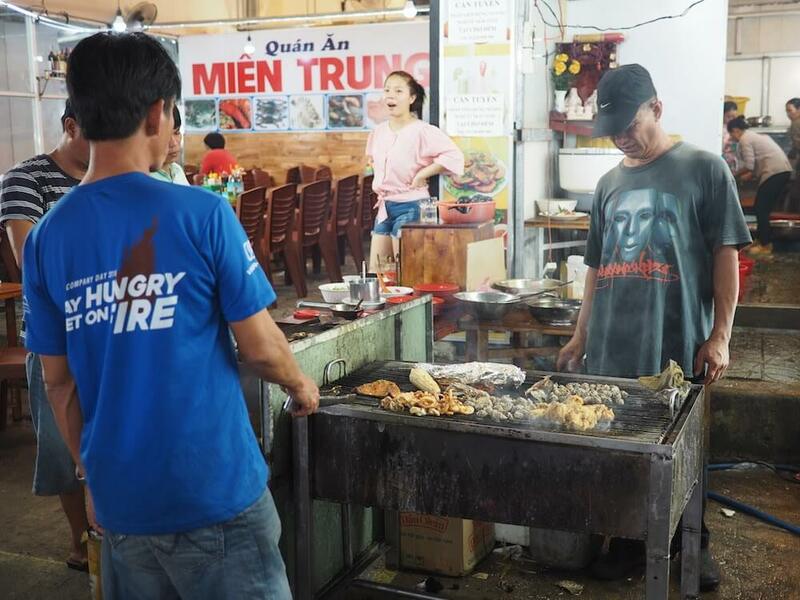 All those guides presume the best things to do in Phu Quoc are the pepper farms or to see how fish sauce is made – I mean, really? I can’t imagine anyone I know wanting to spend valuable holiday time and money going to them when there are cool arty things about, and incredible beaches of course. Number one tip for Phu Quoc is to rent a moped. The island opened up to me after I did, and it just gave me so much freedom to explore as I liked. I didn’t even have a plan, which is weird for me. I just put the pedal to the metal, or whatever the moped equivalent is, and went. If you’re not old enough / too scared / terrified, you can always get taxis, but I guarantee it won’t be as fun. 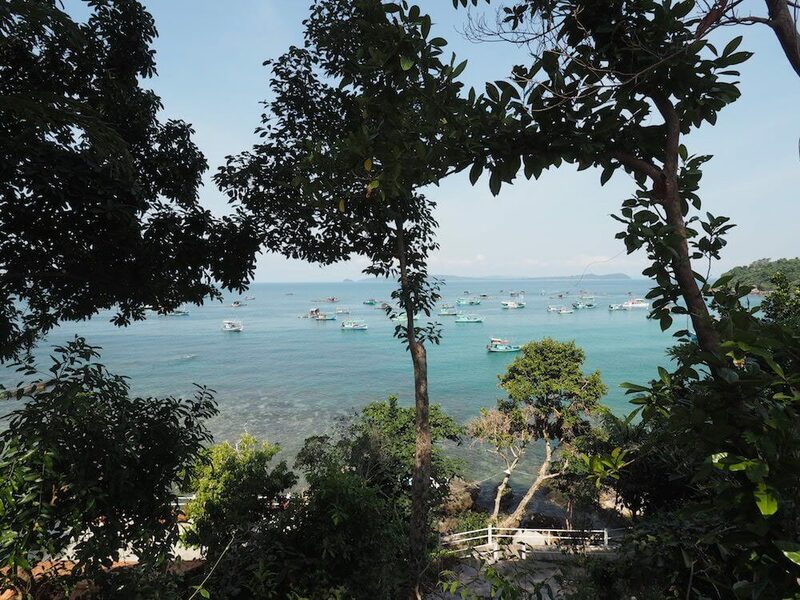 Phu Quoc is a little island to the south west of Vietnam and south of Cambodia – I haven’t said that yet have I? – I went for a week in February 2017 and just fell in lurrrve. It was bigger than I thought, but all the more ground to cover made it exciting. 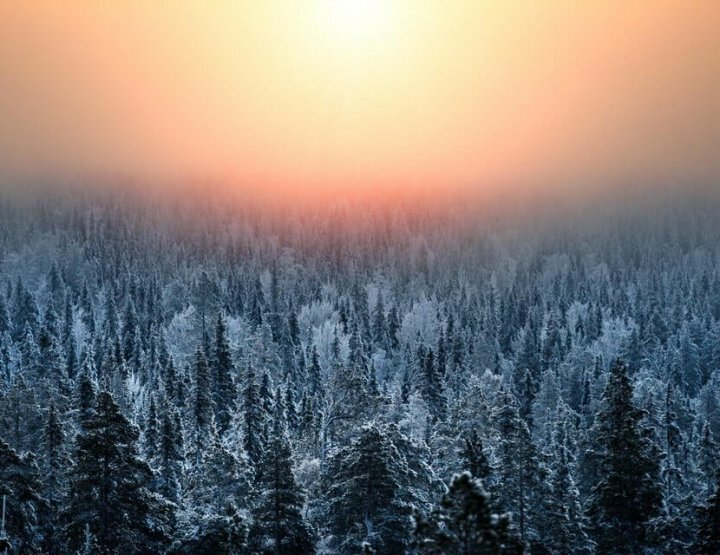 There’s a huge tourism industry here – particularly for the Russians – but there are also pretty secluded beaches, if you know where to look (read on). Loved it at the Coco Palm Resort. I was actually on the way to Mango Beach Resort but stopped here beforehand and ended up staying all day. It was glorious. 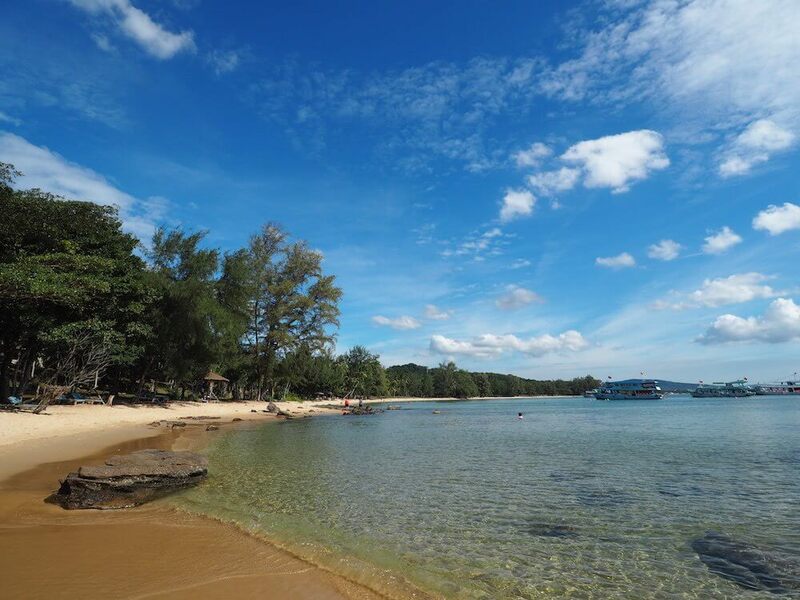 This was my favourite beach on the island – Ong Lang Beach. 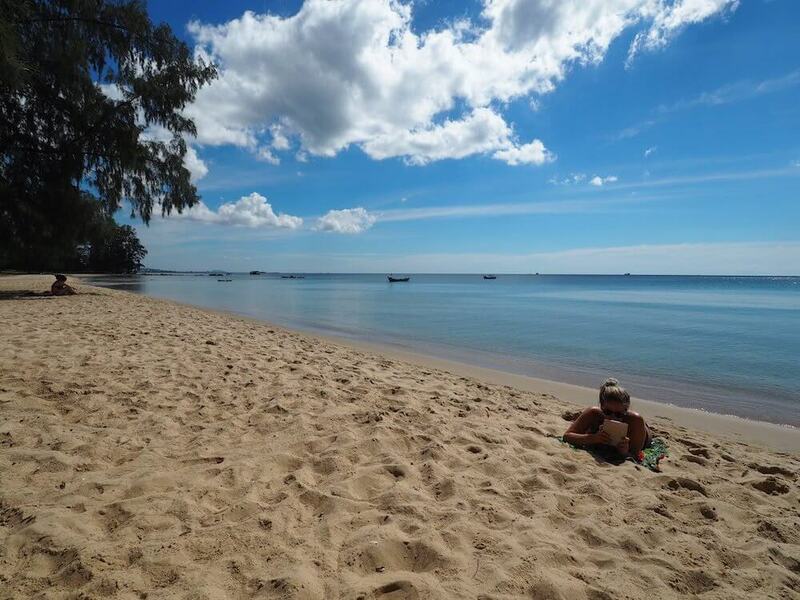 It was absolutely beautiful, barely any people and they didn’t mind you using the sun loungers all day long. 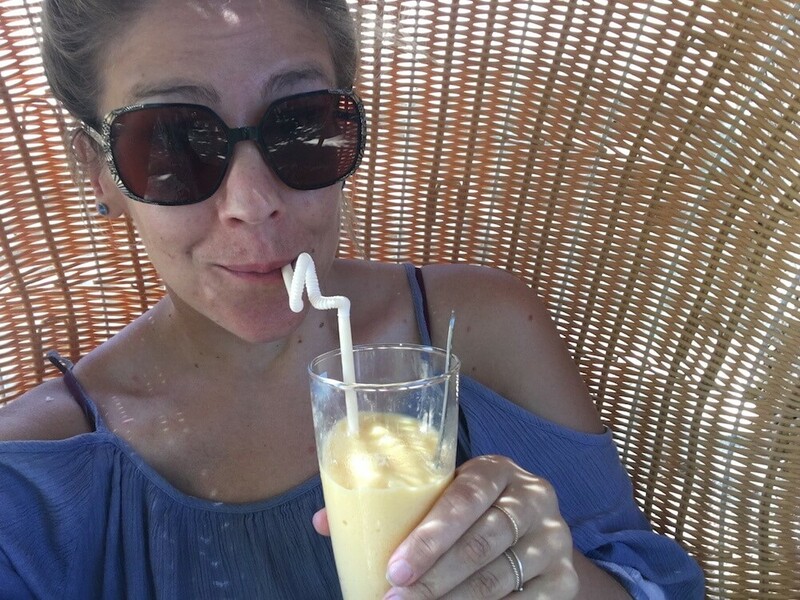 Also, I know it’s bad, but the Wi-Fi was really good at the Coco Palm Resort too so you could lie on the sun loungers answering emails #travelbloggerlife. I ate here twice. I wouldn’t recommend the curry – just had some sort of hard, undercooked veggies in – but the prawns were incredible. Coco Palm Resort, and Mango Bay, are in a really nice spot on Phu Quoc. It’s away from the commercialism of Bia Soi and the centre, yet still has the infrastructure of a few lovely restaurants and bars to explore. In the evening the fairy lights and big ice trays pop up outside the restaurants filled with crazy looking fish from the surrounding waters. I didn’t really feel like dining like a boss by myself, so when I saw the cardboard sign outside a tiny street side restaurant advertising Ban Xeo for 20,000VND (80p), I chose that for dinner instead. I had a yummy Vietnamese-style pancake while watching their little kids play on the mopeds. Very cute. 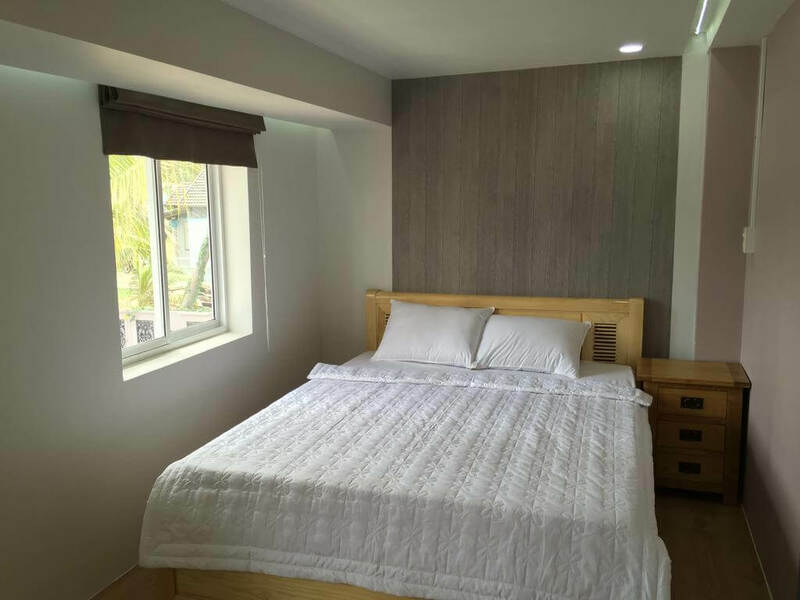 How Much Will You Spend in Phu Quoc? 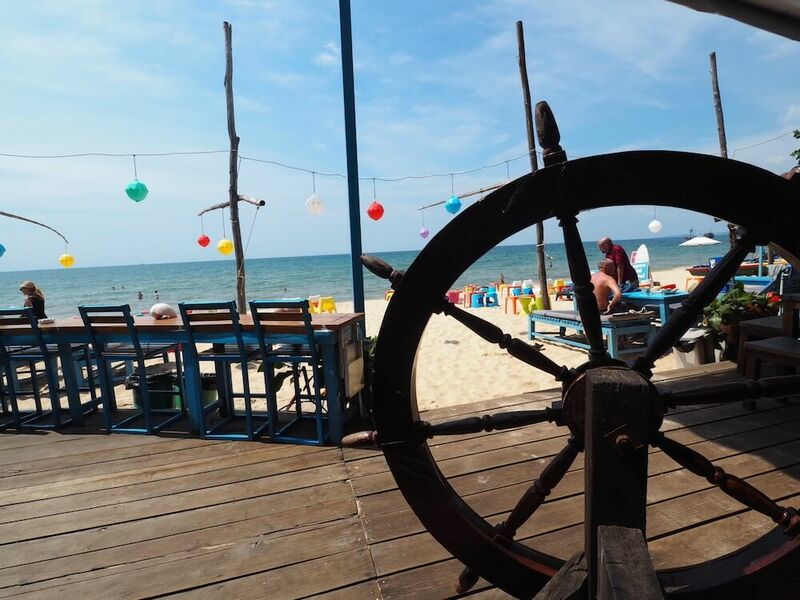 There’s loads for drinkers and party people to do in Phu Quoc, apparently. I didn’t go out once, and only had one beer and one cocktail in the entire week I was there. I was trying some sort of detox from booze after feeling fit from the 700km bike ride I did from Hanoi to Ho Chi Minh City. But anyway, if it was me I’d head down to Rory’s Beach Bar and take it from there. 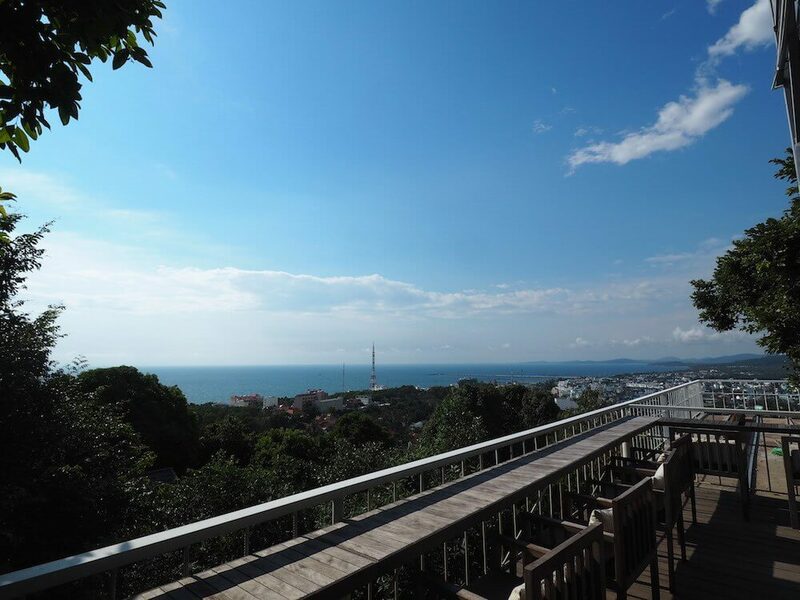 The beachfront was lined with bars and restaurants with different vibes, clientele and price points – you’ll find the one for you. 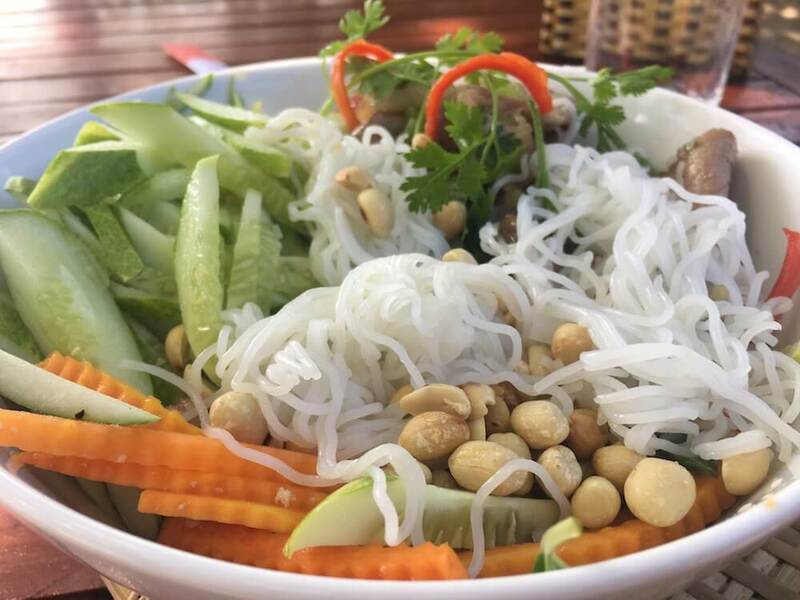 When I asked Twitter where I should eat on Phu Quoc, Rory’s Beach Bar was the most popular answer. I actually only made it on my last day and it was a great way to round up the week. I mean, it was clearly set up for westerners – the extensive and expensive menu was filled with burgers and pizzas and the owner / manager was Australian. My meal here was the most expensive one I had during my whole time in Vietnam, at 200,000 Dong. 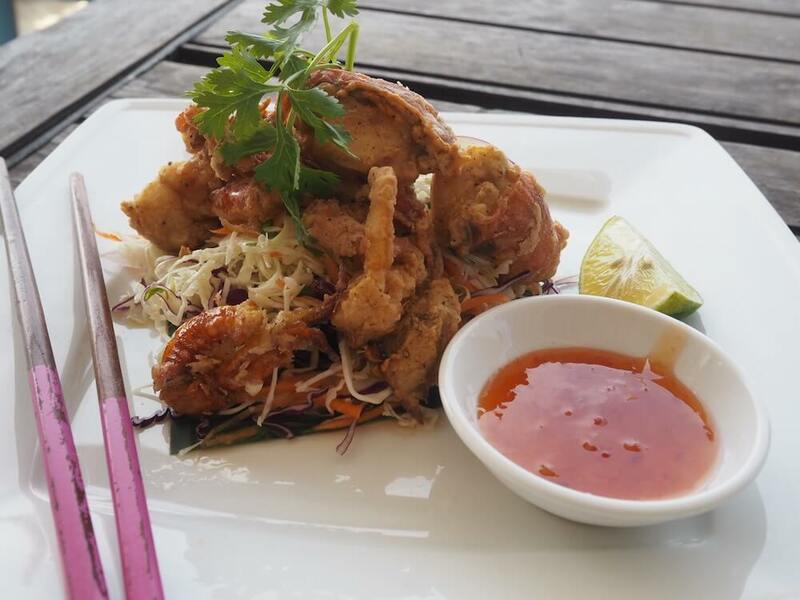 I went for the Crab on Asian slaw – big tasty chunks of crab battered and dipped in a spicy sauce. Deee-licious. I spent the hour after sleeping the feast off on a comfy sun lounger out front, totally understanding why so many people had recommended I come here. The Chuon Chuon Bar had one of the best views from a bar I’ve ever been to. Unfortunately it also had the worst service. I was patient, trust me. I tried real hard to be as patient as possible. But after four times of asking for a coffee and then just going to speak to the manager two hours later when it still hadn’t arrived, it was driving me nuts. I was staying at the hostel next door so I came here quite a bit. The bacon wrapped shrimp here was yum – the chicken curry pretty much inedible. 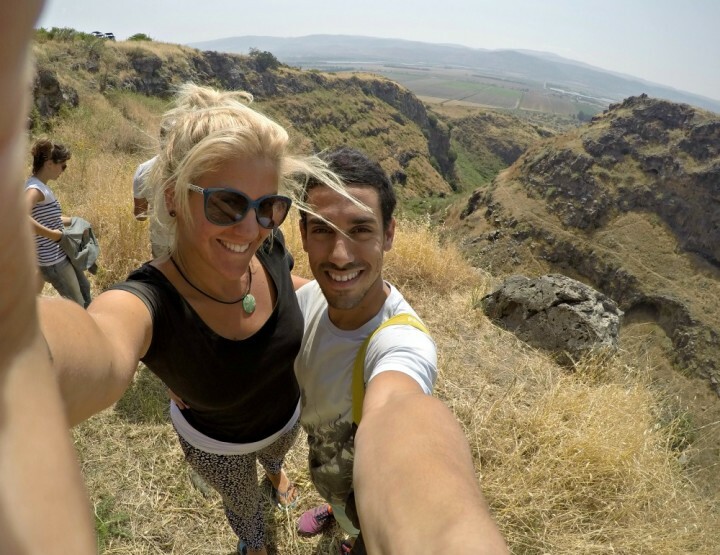 I’d still recommend checking it out though – cool place, cool views and up such a steep hill you might have to push your moped up there when you get close to the top! 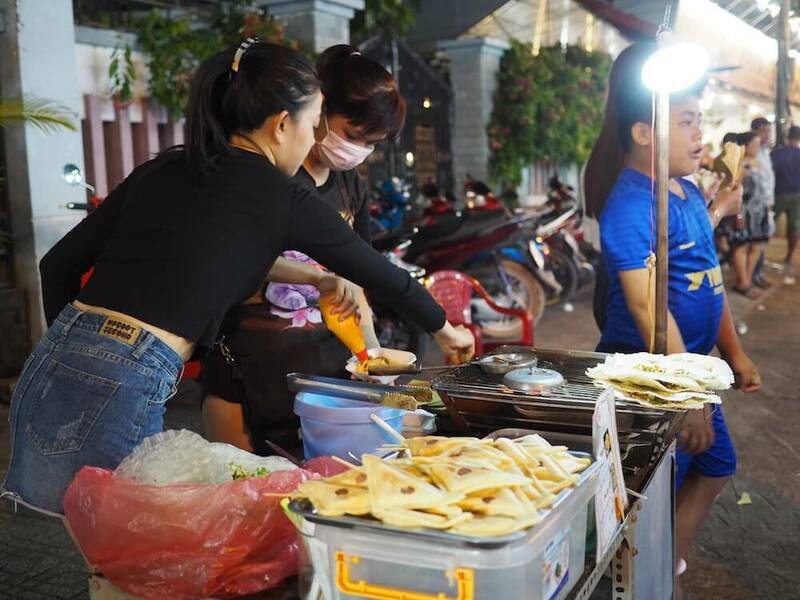 Every night the locals set up the Duong Dong Night Market in town. So much food to choose from here. As well as the street stalls the restaurants lined the streets – serving seafood pretty much straight out of the sea and on to your plate. Again, I just didn’t really feel like going by myself so didn’t try one but by the way they were filled with both locals and tourists every night I’d say they were pretty good. Instead I stuck to the street food. I had a Vietnamese pizza – basically a tortilla with Dairylea and veggies spread on top (yeah, not sure about that one) – and then the Japanese balls, which were great. Super cheap too. This was a cute beach. Found it while exploring on my moped. The highlight was definitely the wooden chairs hanging from the trees. I sat in there and read my book for hours – loved it. I tried the Mi Quang, for something different but just found it too dry. You might like it though? My friend recommended this place to me for breakfast. Located just back from the main beach it was actually on the main road but once you’re inside you wouldn’t know it. 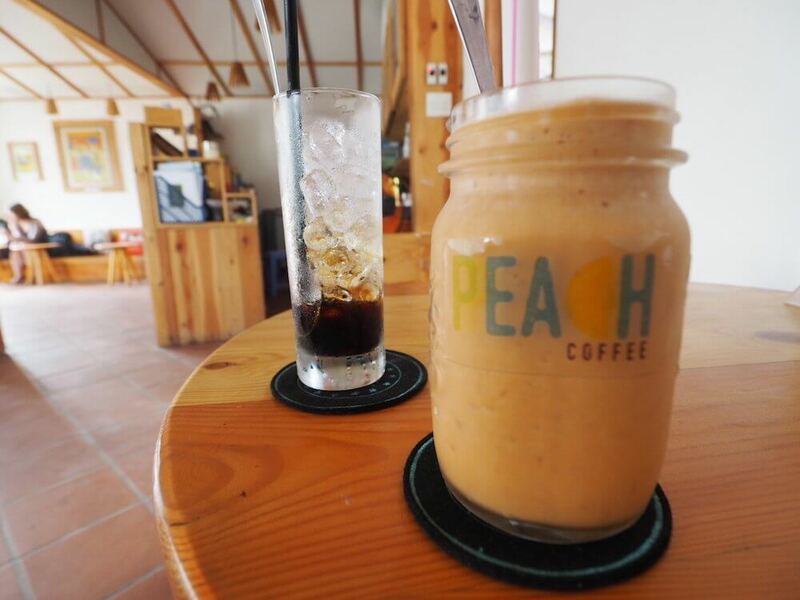 They serve breakfast, coffees and smoothies – seeing as I’d eaten eggs pretty much every day since arriving in Vietnam I just went for an iced Black Vietnamese coffee and the Carrot smoothie. Yep, add this place to your list. They have Starbucks coffee, which didn’t excite me in the slightest but maybe will you, and this pool right on the beach. There was no one here – so weird. I had the bar and the pool to myself. Dreamy. 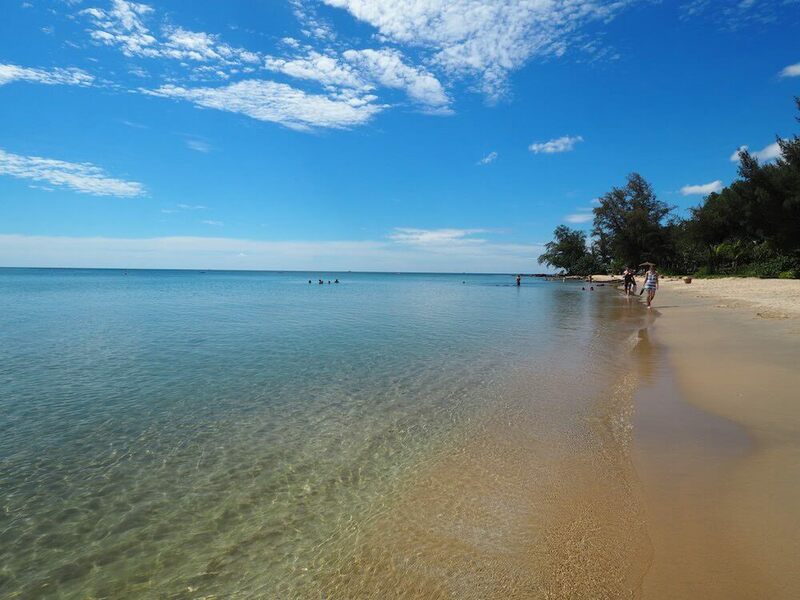 Phu Quoc is a 574 square kilometres (222 sq mi) island, so of course it’s surrounded by beaches. 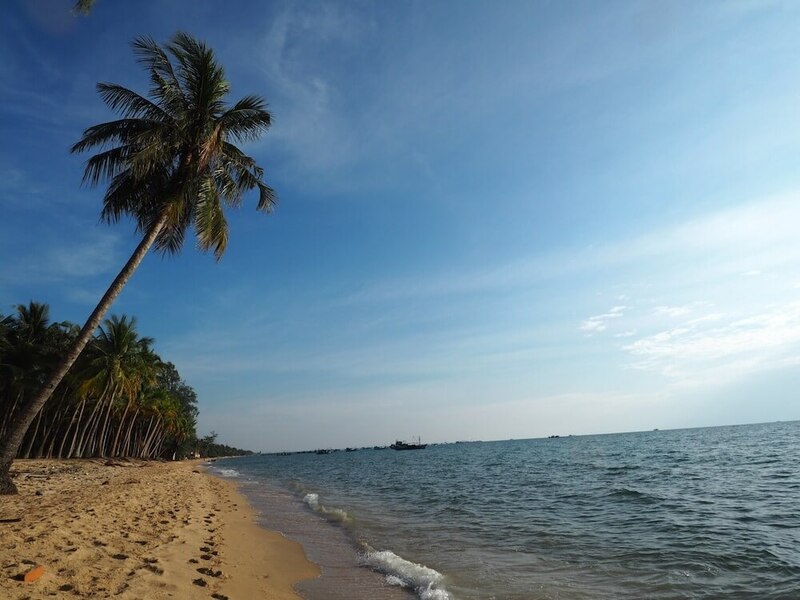 Not all Phu Quoc beaches were created equal though. 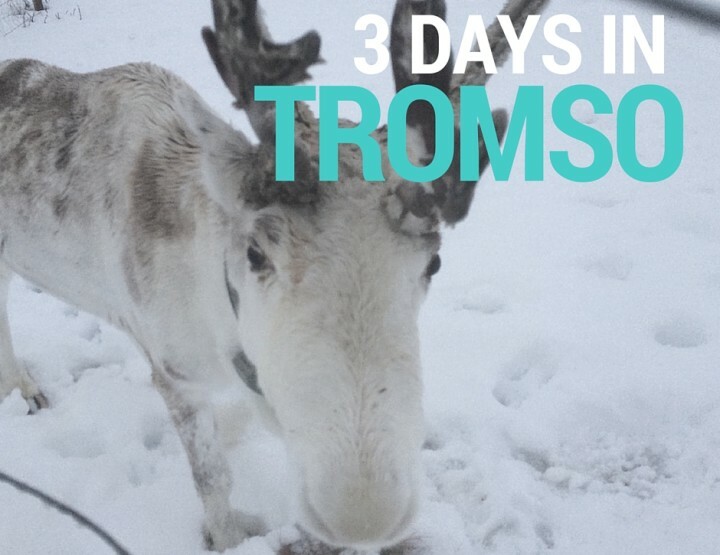 I went to as many as possible in my week… here’s my review of the top ones. 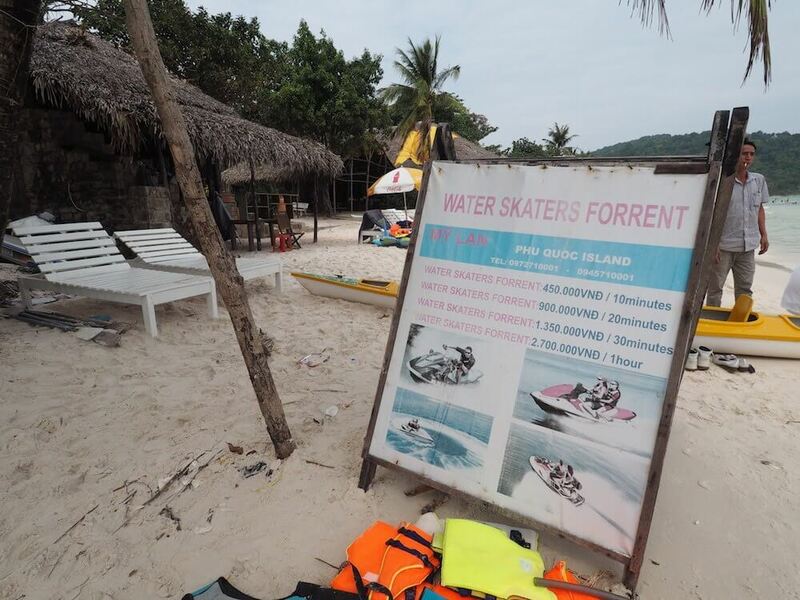 Bia Soi: the most popular beach, bit dirty, very busy, nice pizza restaurant. 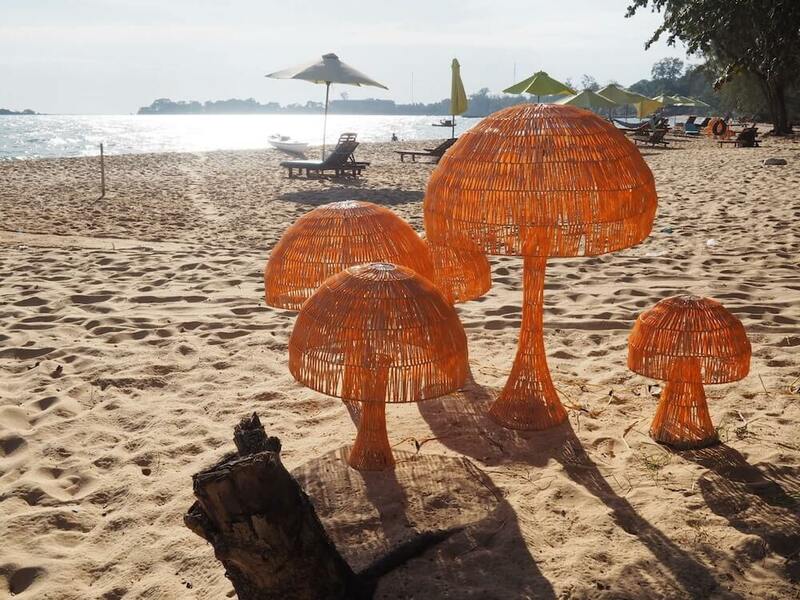 Vung Tau: Lovely peaceful beach, little cafe, cool hanging chairs, kinda arty. 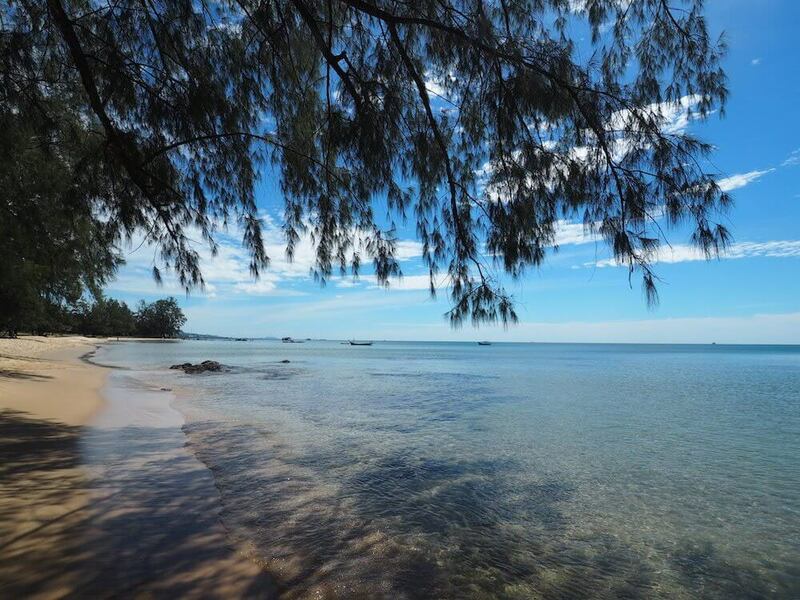 Ong Lang: the best beach, barely anyone there, beautiful, home to Mango Bay Resort and Coco Palm Resort. 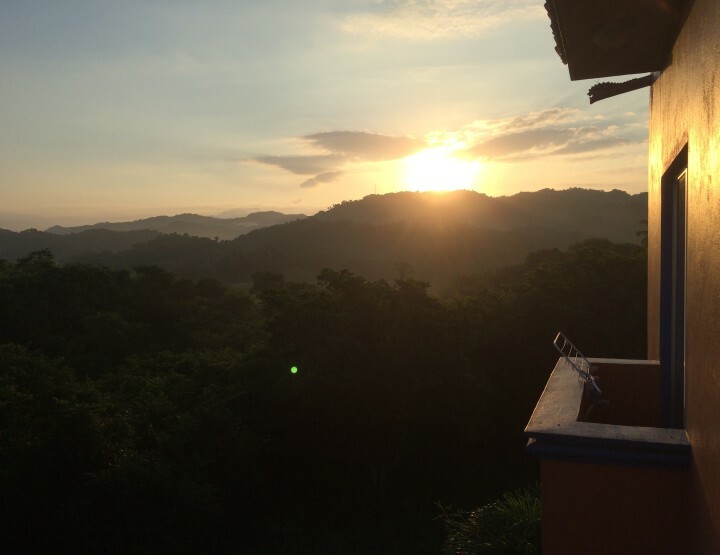 Cua Canh: great place for sunsets, little juice bar, barely anyone there. 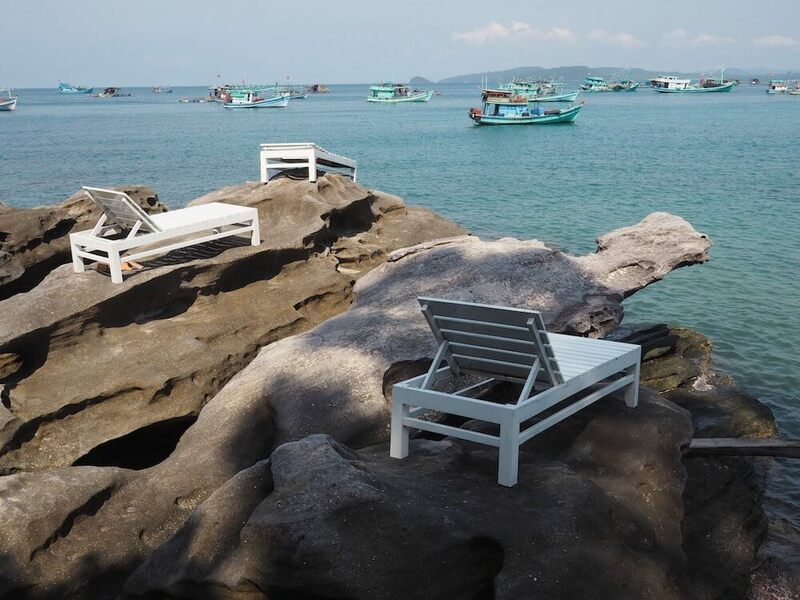 Ganh Dau: super arty, seemed super secret, great sun loungers. 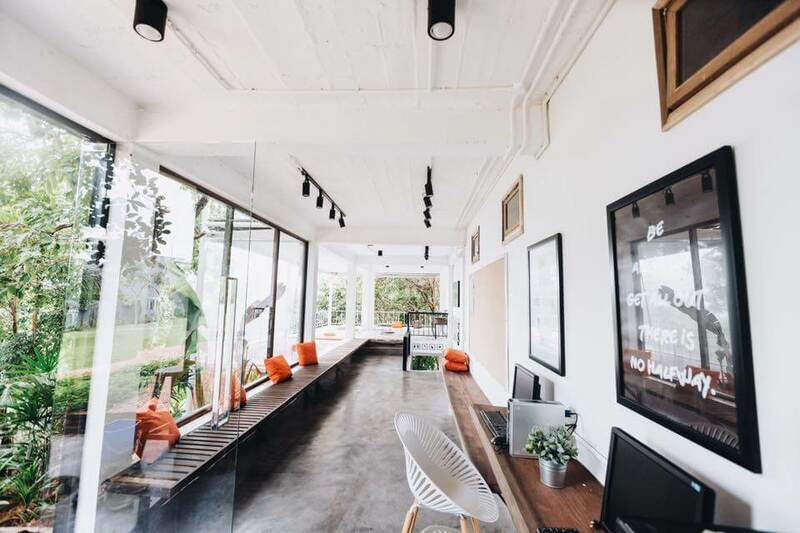 In anything you read on travel advice for Phu Quoc you’ll see that the pepper farms are normally riding high as one of the top things to do there. I didn’t actually go so I can’t say for sure, but I felt satisfied with my moped drive past them rather than actually going in. I mean, it’s pepper, that grows. In the words of the great Shania Twain – that don’t impress me much. 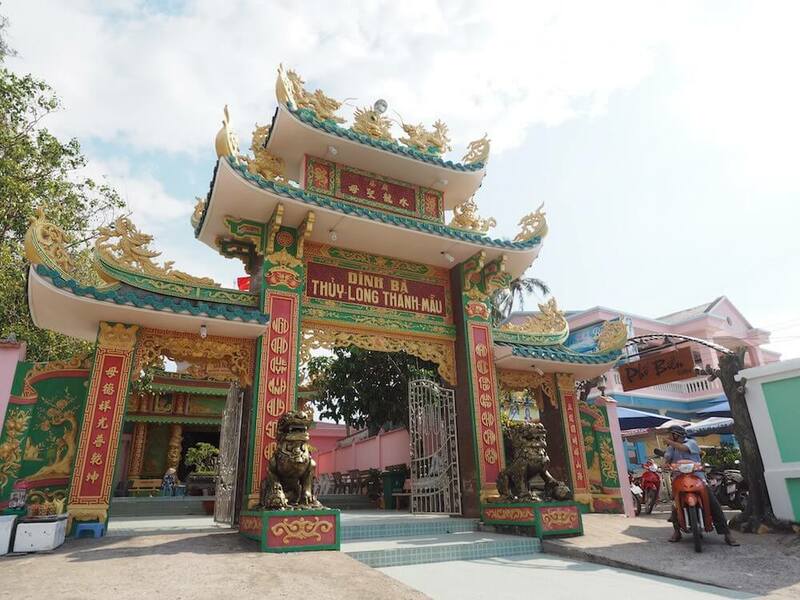 Yep, lots of temples on Phu Quoc for you to explore. This was the only one I was at long enough to take a photo of, so unfortunately, that’s all I have to say about that. 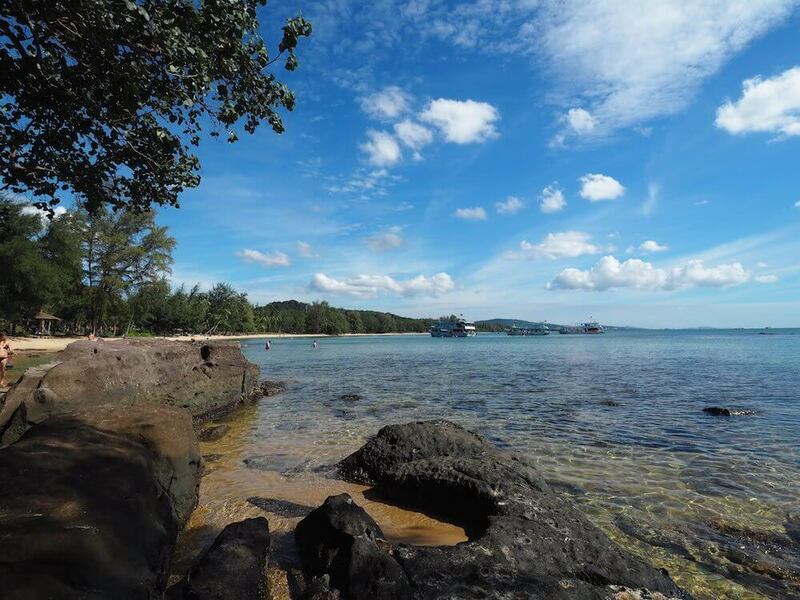 The snorkelling and diving on Phu Quoc is meant to be awesome but unfortunately at the time of year that I went – February – not so much. 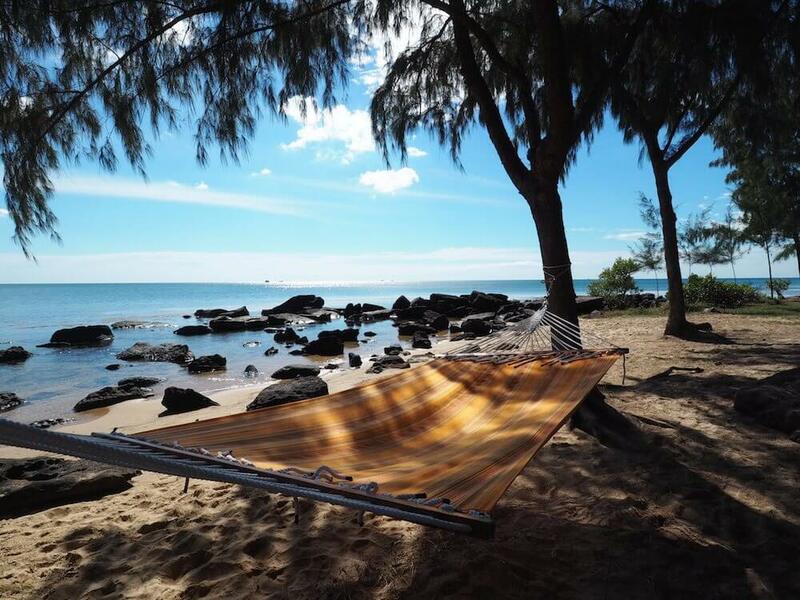 I went to find out how much a snorkelling trip was – not bad at $20 – but it was my last day and I just didn’t want to spend the time out on a boat if I wasn’t going to see anything. 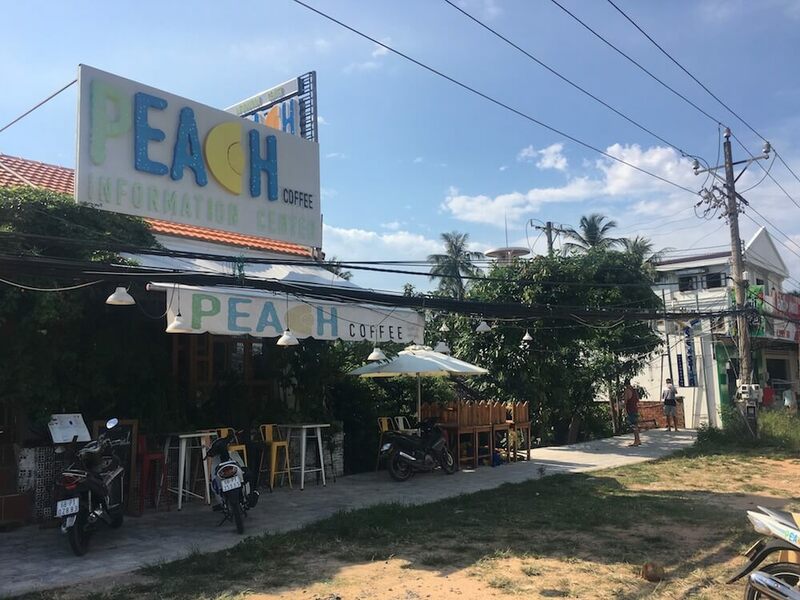 From what I’ve read and heard since you should definitely give this a go if you’re in Phu Quoc at a good time of year. I can’t really talk about Phu Quoc without mentioning VinPearl. It’s this really weird theme park at the top of the island that no normal Vietnamese person could afford to go to and no travelling Brit would want to. I drove past on my moped and saw all the taxis parked outside, desperate to pick up anyone who’s got the money to waste on going in there. Just up the road from this Russian monstrosity is a huge development of luxury houses, being built especially for the rich and moneyed of Russia. The Vietnamese workers have set up hammocked, shanty towns outside, to live near the work. I can only assume they’ve come in from all over Vietnam to work on it as the site was huge. I mean, sure, it’s going to be a stunning place to stay when it’s finished, but it’s going to change the island. The shanty towns with kids and cockerels dashing about was such a stark contrast, reflective of the world. 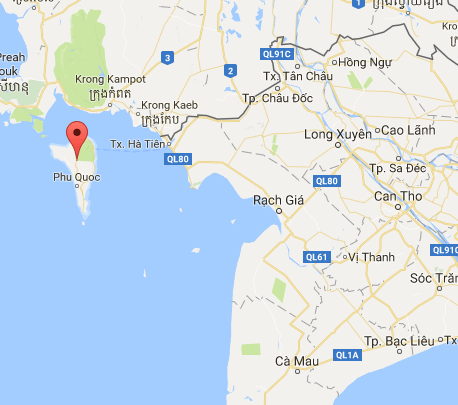 – The sun is super strong in Phu Quoc, or at least was when I was there in February. Wear sun cream, all over and keep reapplying. I burnt the bit where your bum meets your legs and streaks across my back where I’d missed the sun cream, not comfortable. – I felt totally safe walking about, at all times. – Of course if you are hiring a moped you should take extra care in driving in a different country, on the other side of the road and with other drivers who might not necessarily share the same hand gestures as you. 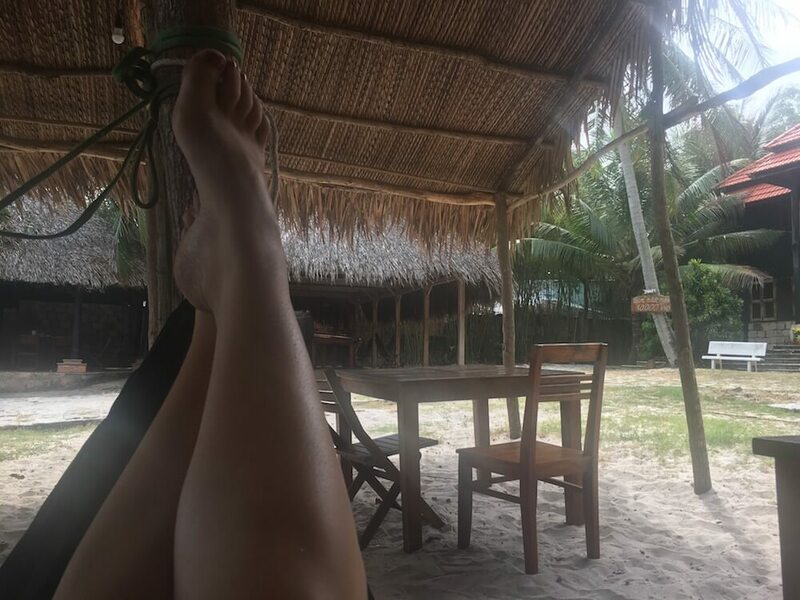 – On Vung To and Mango Beach I was happy to leave my stuff and go in the sea. 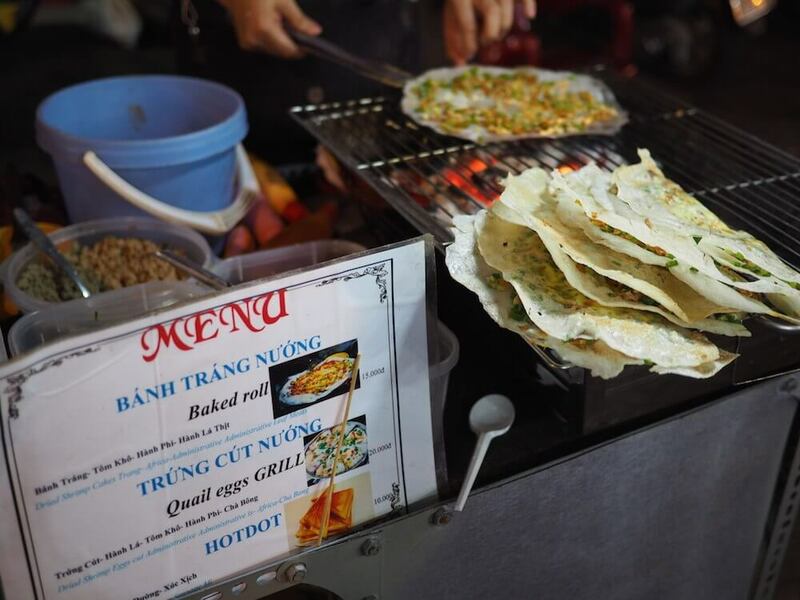 – Go to market day down Trung Truc – I didn’t know it was on and got stuck in the traffic on my motorbike, which I kept stalling. All good fun among the locals who were trying to go about their business. – I did get ill, not sure what it was, but the toilet was my best friend for a few days. Nothing like a good clear out! My return flight from Ho Chi Minh City cost me £100 / 2,832,000 VND a week before, but you can go on the bus and boat from Ho Chi Minh City for around a tenner. Ruddy bargain! Then you can expect to pay around 150,000 from the airport to Duong Dong. 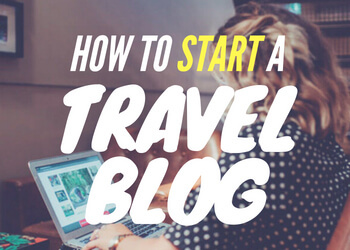 Or you can get the Jetstar bus for 50,000. 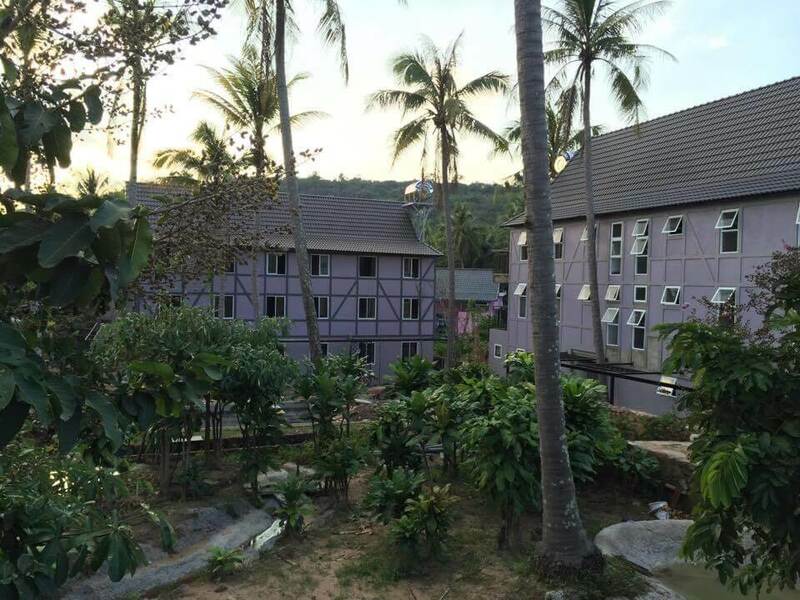 This was a really good hostel, the only reason I didn’t stay at 88 Hilltop Hostel for the whole trip was because of the ridiculously loud music from the Chuon Chuon Restaurant at night and the fact that a private room elsewhere was only a few dollars more. 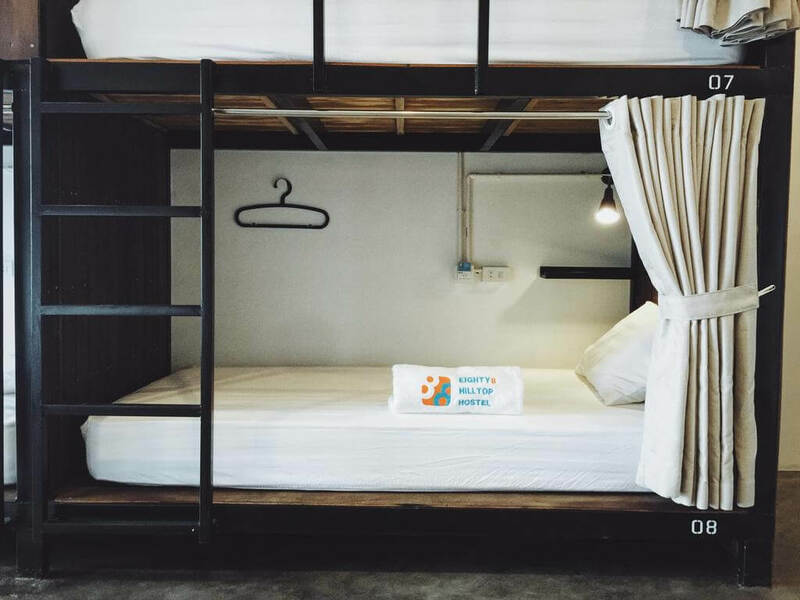 Here I had a ten bed dorm – nearly flipped out when she told me – but luckily I was only sharing with one girl. We had curtains on our beds and plenty of space. 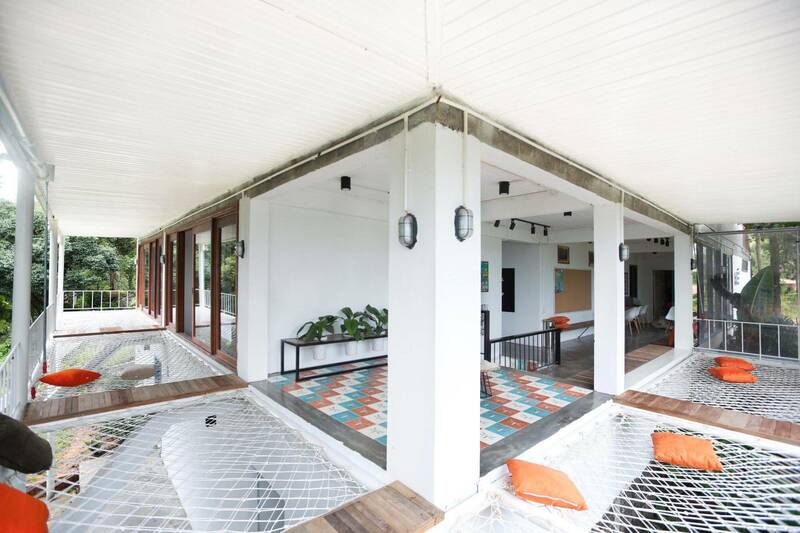 There were nice showers, a cool vibe and incredible views across Phu Quoc. Just to note, it is up a massive hill. Great fun coming down on the moped though. I was only going to stay at Coco Valley Garden Hotel for 2 or 3 nights and then try out one of the super plush places. But after those few nights I decided not to bother. The hotel had everything I needed and it meant I had more money for other things – like the moped every day. I really liked it here and the staff were lovely. The only trouble was the Wi-Fi wasn’t very good but that did mean I could focus on writing instead of going online. 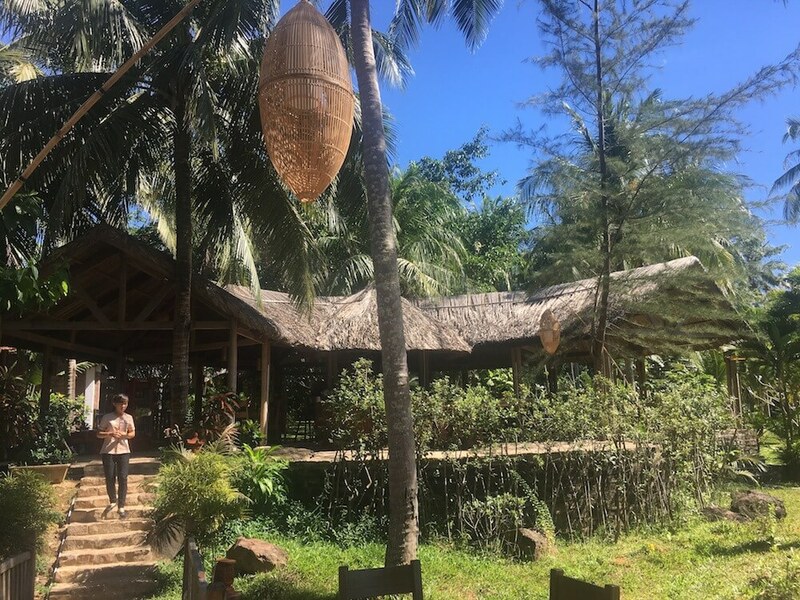 I’d definitely recommend staying here as it’s in walking distance to the Mango Bay area, although you will need a moped or taxi to get to town or most of the bar areas. 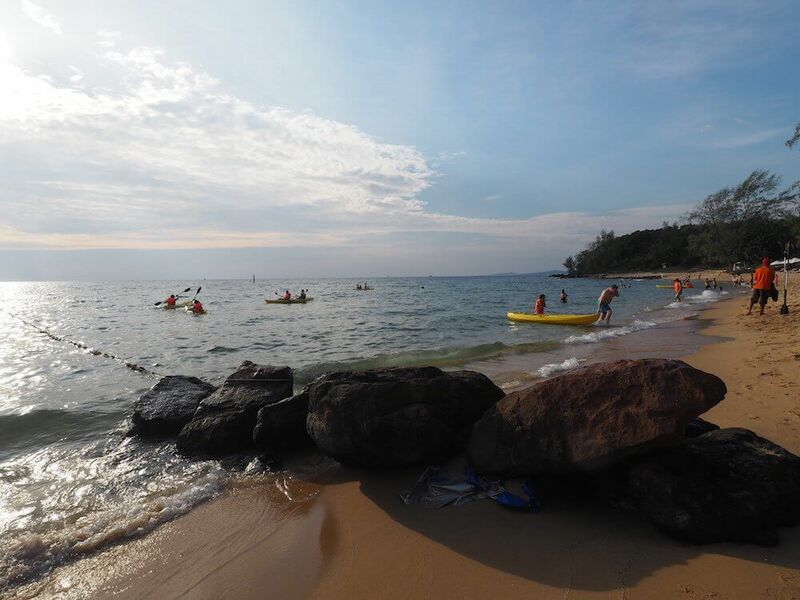 Phu Quoc was awesome – I’d recommend it 100% and hope to make it back there one day. 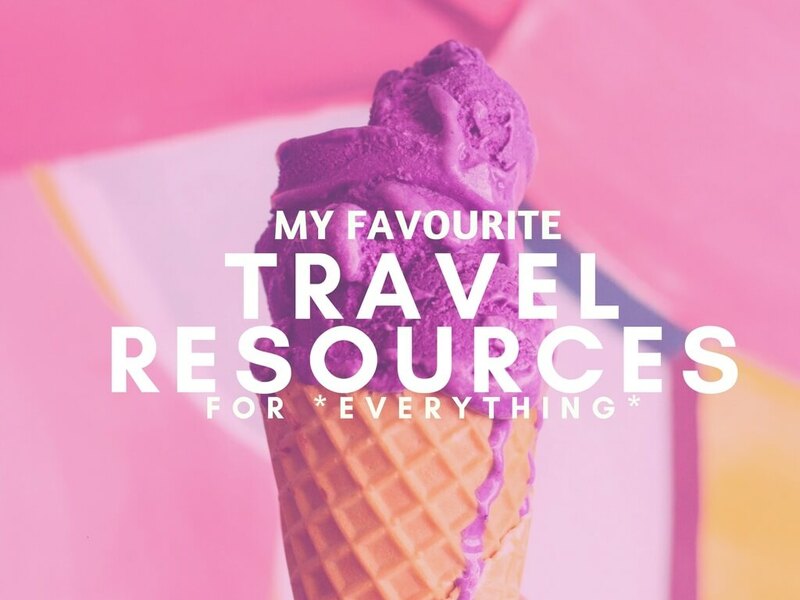 If you have any questions about planning your trip or what to do there – just let me know in the comments box below. Oo that sounds cool. Bees are awesome, and those cocktails sound amazing. I'll definitely check that out next time I'm there. 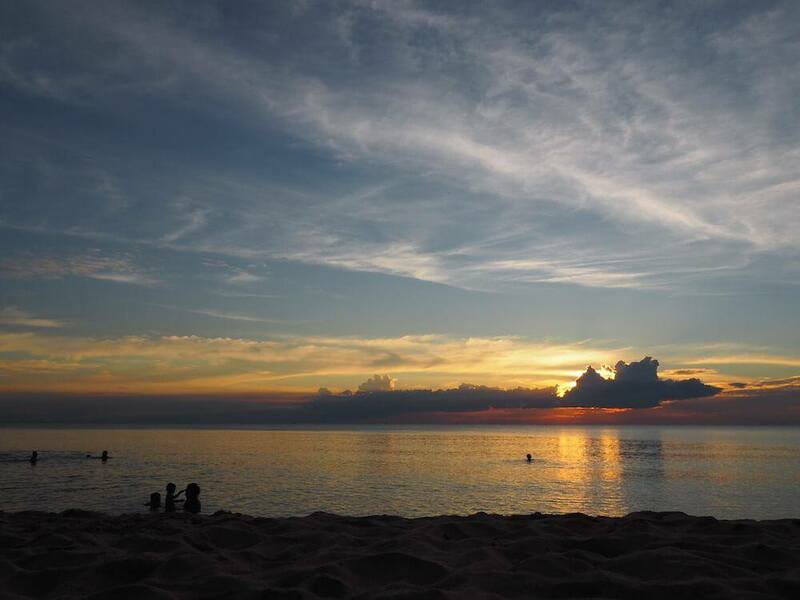 Yeah, I think Phu Quoc is the perfect antidote after the craziness of the mainland. Happy to hear you had a great three days and thanks for sharing your experience! 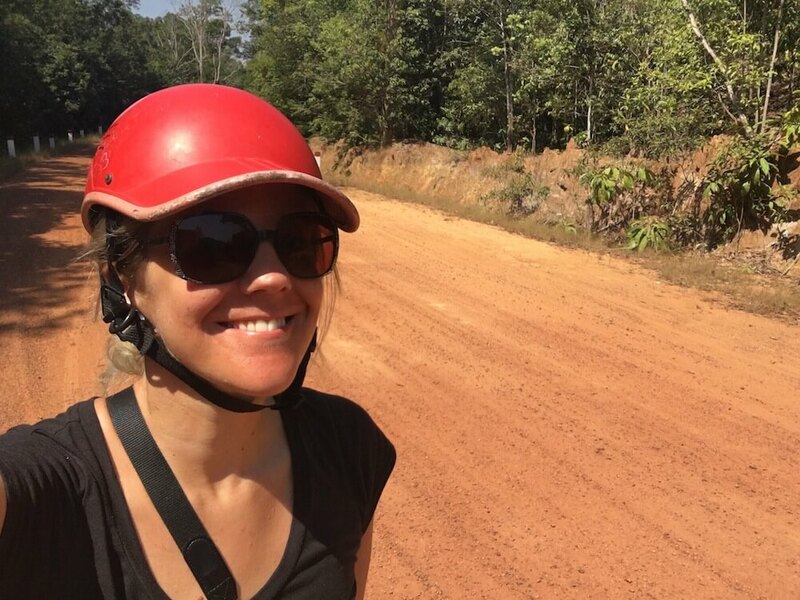 hi, i am also thinking about going to phu quoc for a few days in february but keep reading contradicting info about renting a scooter - where did you rent it from? did you need the international drivers licence? is it safe to drive around the island? thanks for all the other tips, sounds like tons of fun. safe travels! Hi, I just rented mine from my hotel. They'll be able to sort it all out for you, I don't have any doubts about that. I just had a British driving licence and I don't think they even looked at it to be honest. They just took my passport details as assurance that I wasn't going to rob it. Be careful and always wear a helmet! 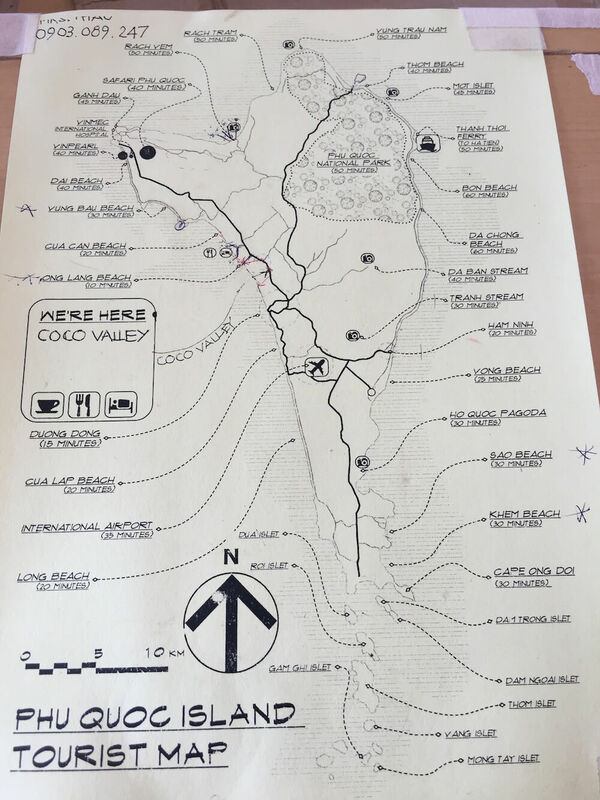 Hi did you just eat at the coco palm resort and used the beach in that way or did you pay to use their beach and if so how much? 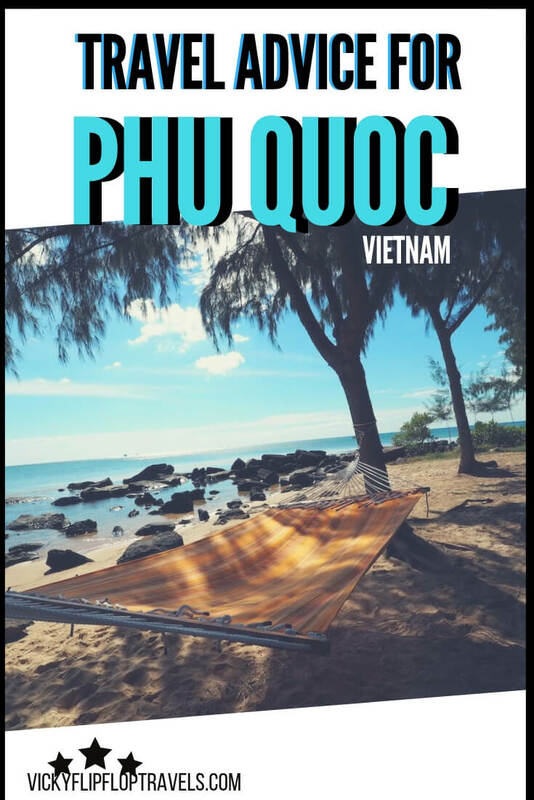 Am in Phu Quoc right now and would love to check it out! Hi Lilian, yeah I just went to the resort and ate and then sat there. It wasn't particularly busy and no one said anything so I'm guessing it was ok! 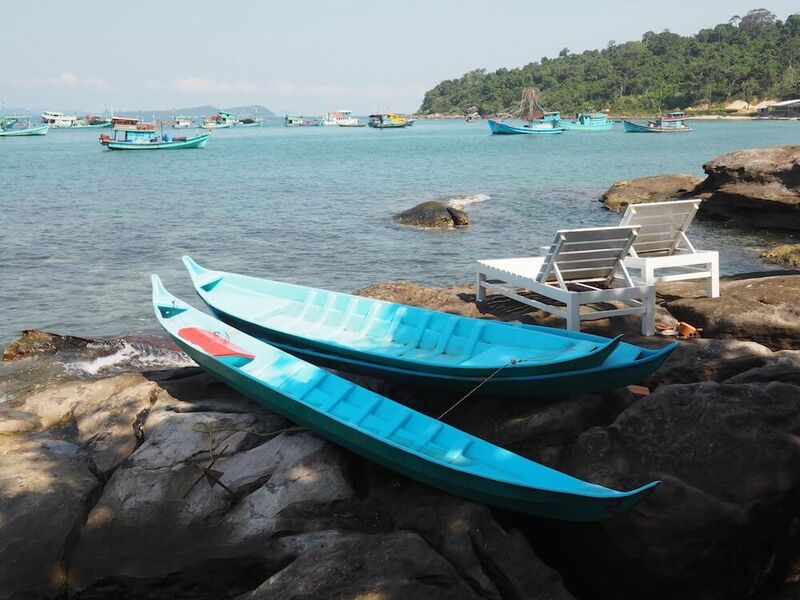 Hi, I was in Phu Quoc last december and tried to find Ganh Dau beach as I’ve heard it’s very nice, but all I found was a harbour with lots of fishing boats and a restaurant, not very swim friendly. I went by taxi and obviously ended up in the wrong place. I’m going back to Phu Quoc this january, and will try to find the beach again, this time on a moped. Could you maybe give me some hints on how to find it? Thank you! Hello, Spending 6 days there in December. How much can I expect to pay to rent a Scooter? Hello Travis – here's the post you need! How did it all go Ramon? 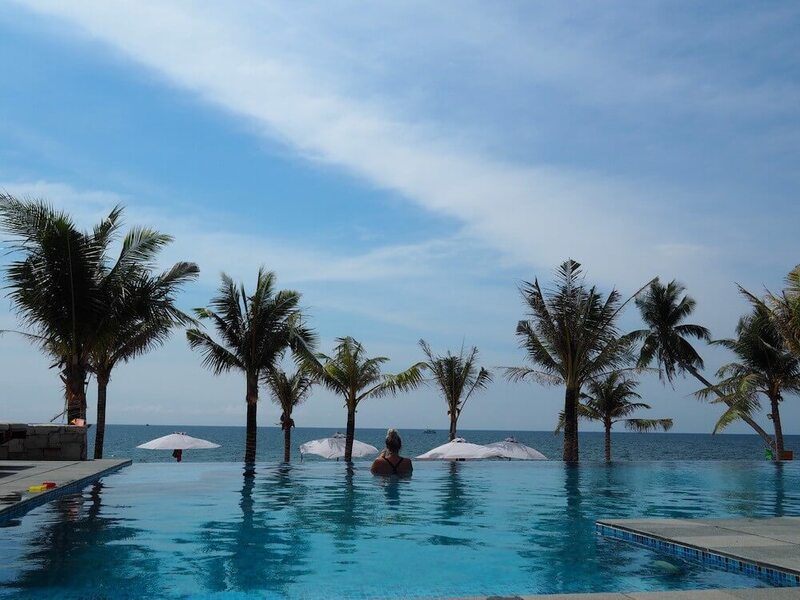 Did you enjoy your Phu Quoc trip? I’m planning for a trip to go there in the coming November. Just wondering if Phu Quoc is kid friendly location? 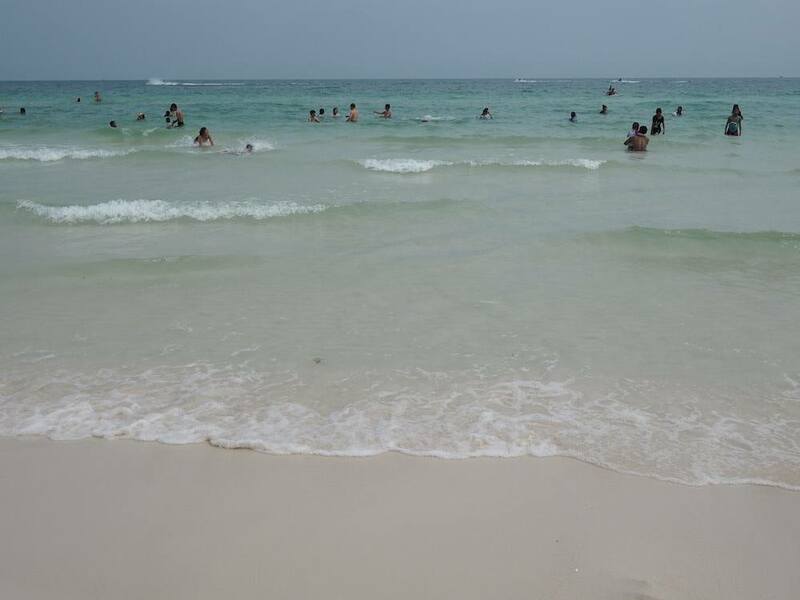 I have a total of 4 children and 8 adults with me..
Not sure other than the beaches what else I can plan for the big group. Hmmm it's difficult to say because I didn't travel with children, but yeah, I don't see why not. As long as they like beaches and boats. It's a relatively small island in Vietnam so there's not a HUGE amount to do but it's also beautiful and the people are lovely. I'd take my kids there, if I had any.